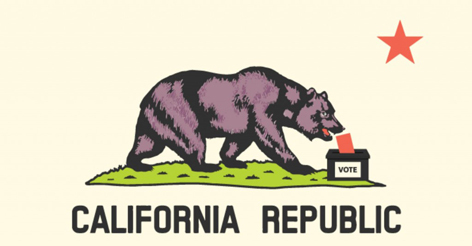 My latest Townhall column is called, Liberals Want California to Secede? Godspeed, Libs… Here’s an excerpt from the column. As disgraced Democrat John Edwards liked to say, “There are two Americas.” There’s an America where people love this country, want it to be successful and believe in using tried and tested means like capitalism, conservatism, the Constitution and Christianity to make that happen. Then there’s an America where this country is shameful, deserves to be brought down a peg and all the old values that served us in the past need to be disgraced and destroyed. These views are becoming increasingly difficult to square. Take Hillary Clinton, Nancy Pelosi and Barack Obama, for example. Are there any meaningful areas of agreement you have with them politically as conservatives? Do you agree with them on abortion, gay marriage, Obamacare, the Constitution, controlling the border, taxes, states’ rights, spending, judges, school choice, etc., etc.? Those disagreements might be mostly irrelevant if liberals were content to live how they want in states they control while leaving everyone else alone. Instead, liberals have worked incessantly to create an all-powerful centralized government that they believe should marginalize and prey upon people who don’t share their political beliefs. The idealized liberal world is one where you do the work, they take your tax dollars and give that money to people who don’t work as hard as you in exchange for keeping the Left in power. That unworkable liberal philosophy is inexorably marching the country towards bankruptcy and ruin.